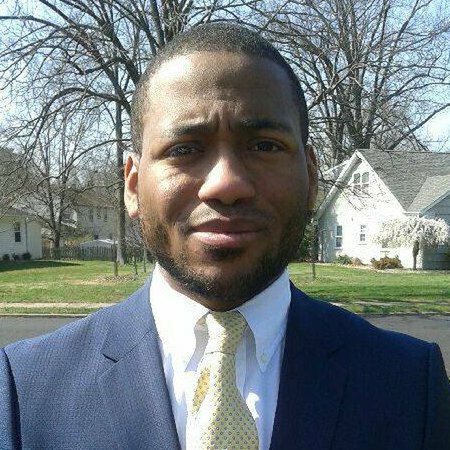 Javahn Walker has provided voters with clear stances on key issues by responding to the 2018 Political Courage Test. I do not support hundreds of billions of dollars in budget deficits each fiscal year if it is not necessary. A crisis like the Great Recession is a reason where budget deficits would be necessary, which helped save our financial system. However, in the event that it is not necessary, I support either a balanced budget or a budget surplus. Taxing the wealthy at much higher rates while reducing defense spending is how we can address the national deficit and actually operate at a profit, if not at least revenue-neutral. I would make it a federal law that requires all corporate and union PACs to list all donors to the PAC to the general public in a fully transparent manner. I do not support lowering corporate taxes for big businesses. The only corporations that should be subsidized is small businesses, which are the majority of employers in the US. The federal government should have high standards for the students in public education and should ensure that the states adopt those high standards. Granted, some states might have higher standards than the federal government's but there are so many states that don't. The lack of adequate reciprocity between public education of states is a risk not willing to take, so I will support requiring states to adopt federal education standards. Our energy system is old & antiquated. Developing renewables is the future and a more efficient way of providing energy to Americans. I would not repeal Obamacare. My goal is a single-payer system, which is the system that is provided by every major country in the world. I would also work to have optional supplemental private health insurance by requiring private health insurers to enter the Obamacare marketplaces and providing the services that they were created to do. Too many lives are ruined and in jail behind simple possession of marijuana. For a drug that has medicinal purposes, it is immoral to lock people up for possessing it. There are countries and states that have legalized marijuana and we need to be the next country to do so. The most important reason to legalize marijuana is to eradicate the social injustices that come with the stigma of marijuana. We have not learned from our military interventionist past (Bay of Pigs, Vietnam, Afghanistan 1979, Desert Storm Afghanistan 2001, Iraq 2003, Syria). Military intervention is not the way to solve international problems. Negotiation, peace treaties, open discussion: that is how we can solve problems without using unnecessary force. 1) Healthcare is the most important. Moving away from healthcare being regarded as a business model and instead towards a guaranteed right (Medicare for All) is how we can improve many peoples' lives. 2) Lowering middle-class taxes while instituting a wealth tax on the richest households. The income tax rates for the wealthy are too low and our revenues are not enough from the top. We can fix our budget by instituting a wealth tax. 3) Campaign finance reform: Banning corporate PACs and Super-PACs in addition to capping the amount individuals can donate will bring our democracy back.